The National Museum of Archaeology in the Maltese capital city of Valletta recently held a show entitled, “Malta, the great story of a small island-nation through 100 objects.” Few places could tell such a long story through 100 objects as the small island nation of Malta. In a short walk through the museum you can cover 35 million years of geologic history and some 5,600 years of human history. No wonder UNESCO has granted this tiniest of countries three different World Heritage Citations: the City of Valletta, the Hal Saflieni Hypogeum and the Megalithic Temples. The latter two UNESCO citations cover 11 different neolithic sites. On the Maltese islands of Gozo and Malta, history exudes a powerful presence to visitors. It’s spread out everywhere on these islands and it runs a deep, multifaceted line. Malta’s list of familiar periods includes Phoenician, Punic, Roman and Medieval, but those eras are really the modern era and take a back seat in terms of longevity to the Stone and Bronze Age sites on the island. Why has Malta attracted so much history? Malta sits in the Straits of Sicily, southwest of Sicily and east of Tunisia amidst a 90-mile wide span of sea that divides the eastern and western Mediterranean. 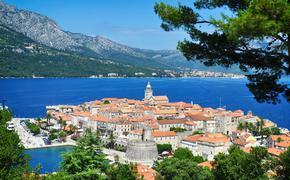 That location guaranteed that these islands would be at the center of the action in trade, culture, war and religion. Malta has been all of these things with a history that reaches back at least as far as 5000 BCE. Most visitors arrive in Malta in Valletta, a beautiful Renaissance city, built by the city’s historic paterfamilias, the Knights of St John. Though the Knights are central to the history of these islands, they are a rather modern part of the story, in the 16th to 18th centuries. On the Maltese scale of human history, that would be yesterday afternoon. Consider the Hal Saflieni Hypogeum, a neolithic burial chamber that was given its own citation by UNESCO and for good reason. 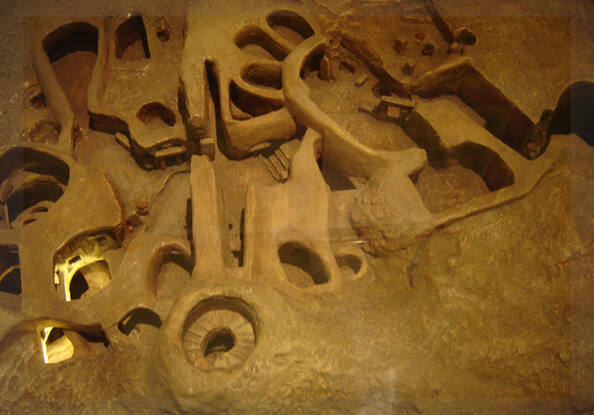 The Hypogeum was carved out of sandstone by Stone Aged builders over a period of 1,100 years and they did it without any iron tools, a job that began in 3600 BCE, about 5,600 years ago. This mysterious labyrinth goes down some 35 feet beneath the surface. As you descend within this vast subterranean cavern you pass hand carved chambers, passages and shelves that held the remains of generations. For many visitors to the country, the most atmospheric of the megalithic monuments is Mnajdra, located on the on the main island of Malta overlooking the islet of Fifla off the southern shore near the Hagar Qim Temples. One portion of this temple site hails from the Ggantija era. Another of the temple is considered among the best preserved megalithic sites on the islands. For New Age travelers and archeologists, Mnajdra becomes especially poignant during the Equinox days (March 20 and Sept. 22) when sun rays shoot majestically through the temple. The ruins of two temples stand at Skorba. What makes Skorba so compelling is that the temples were built some 5,600 years ago on the grounds of a village that dates back 7,000 years. 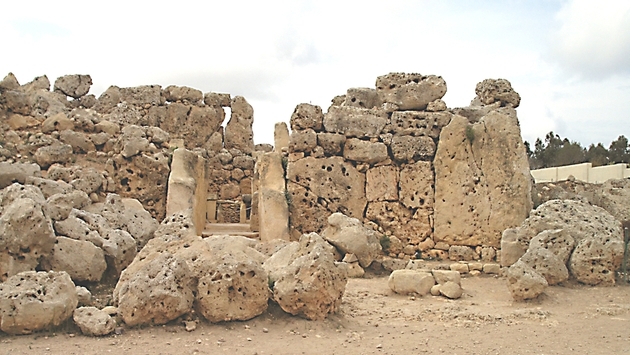 Four megalithic temples comprise the Tarxien site. Unless you count when it was used as an air raid shelter during WWII when the Maltese withheld a second Great Siege, this time by Nazis, the cave at Ghar Dalam is not really a human relic. It’s still cloaked in a fabulous and mysterious historic aura none-the-less. This cave, which runs about the length of a football field and a half, was loaded with the bones of many animals including some that are now extinct including dwarf elephants and a European species of hippopotamus. There are many reasons people visit Malta. Most of the country’s roughly 1.6 million annual visitors come from Europe and they head right to the country’s fine beaches. Maltese tourism officials are seeking a brand of tourism with a wider seasonality than just summer month beach traffic and a tourism that spreads around the islands. Visiting megalithic sites might not be your sole reason for visiting Malta, but these monuments lend an air of permanence and mystery to the whole experience that puts the destination in a rare class with a destination like Easter Island. The best place to get a grip on Malta’s mysterious history is through Heritage Malta. To learn more about travel there visit Visit Malta’s website. The Malta Tourism Authority is working with Travalliance, publishers of TravelPulse, on an educational program for travel agents in Travel Agent Academy.